How do I organize project-based learning in my classroom? How do I ensure projects address curriculum standards? What can I do to maximize the benefits my students get from using technology? How do I prevent technology problems from eclipsing learning goals? This book answers teachers’ questions about enhancing student achievement through project-based learning with multimedia. It’s a guide for anyone interested in helping students produce multimedia presentations as a way to learn academic content. 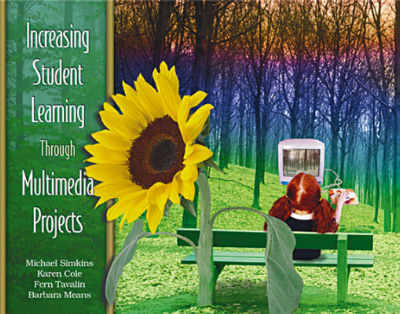 Weaving together the perspectives of teachers, researchers, and staff of the award-winning Challenge 2000 Multimedia Project and the WEB project, the authors address teaching and learning issues central to successful technology projects, such as assessment, subject-area learning, and connecting to the real world. Taking on new teaching roles. Throughout, practicing teachers who have implemented this model in their classrooms share stories of their successes and failures and give advice to teachers and students just beginning their adventures with this new learning approach. MICHAEL SIMKINS, KAREN COLE, FERN TAVALIN, and BARBRA MEANS are leaders from the Challenge 2000 Multimedia Project and the WEB Project, two award-winning federally funded technology projects for teachers and students, K–12.